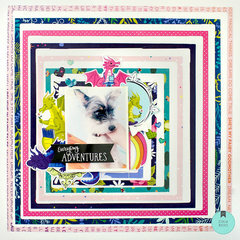 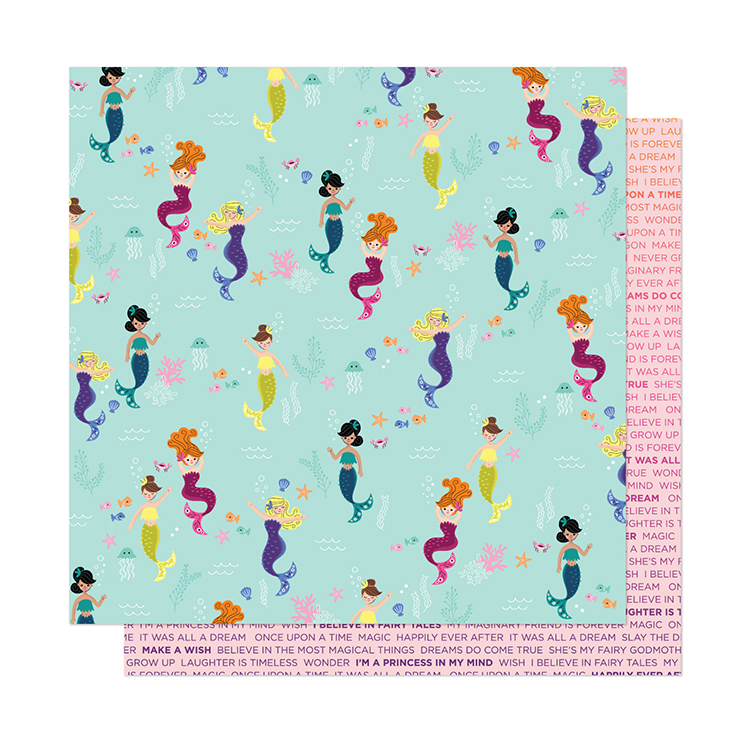 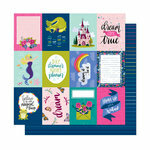 Start your next under the sea adventure with the Believe In Magic 12" x 12" Double Sided Paper from the Head in The Clouds Collection by American Craft. 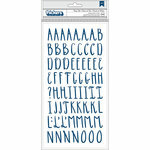 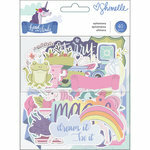 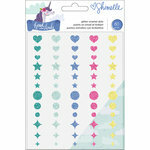 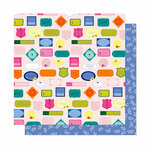 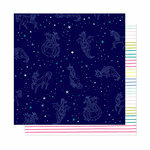 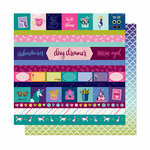 The package includes one sheet of paper that is made in the USA and is designed by Shimelle Laine. 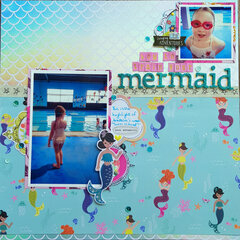 It features mermaids on one side and fairytale words on the other.